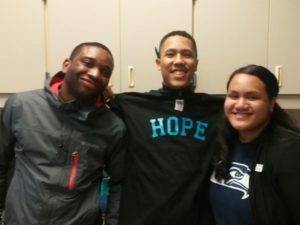 The HOPE Initiative is a program that recruits college students to mentor high school students. 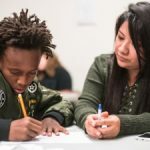 Currently they are recruiting from Everett Community College and placing mentors in Everett High School’s AVID (Advancement Via Individual Determination) program. HOPE’s participants are ethnically diverse and often face societal or systemic barriers to higher education. These similar backgrounds and adversities among participants helps to cultivate strong connections. Mentees and mentors see themselves in each other and this has a positive impact on both. Mentees gain new understanding of what they can accomplish and how, while mentors learn the importance of service and leadership.